He is seated at his repast before a well-covered table, under a canopy studded with fleurs-de-lis. 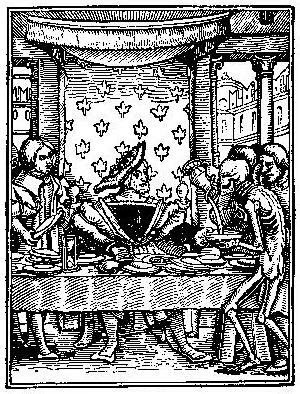 Death intrudes himself as a cupbearer, and presents the King with probably his last draught. The figure of the King seems intended as a portrait of Francis I.